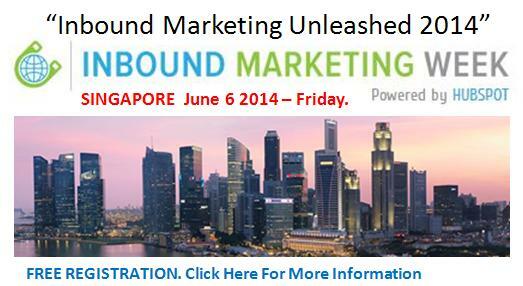 First Inbound Marketing Week Event in Singapore! When HubSpot suggested the event many months back, there was a bit of hesitation about hosting this event in Singapore. Of course, the public is generally sceptical about the quality of education of such "free" events and if it is even worth their time and effort. To make sure we respect the customer, we developed an list of agenda topics we thought would be of value - and we stuck to it. Then we wanted to tie it up with a clear "take-away" message and that took some brainstorming. 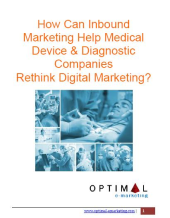 The message we wanted out attendees to focus on is: inbound marketing is the future of digital marketing and new developments in marketing automation is making executing such strategies easy enough that marketers can be in the driver's seat. So we started developing the discussion along these lines. 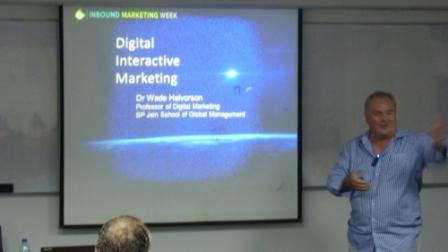 We were fortunate to meet another passionate advocate of Inbound Marketing at the SP Jain School of Global Management, Prof. Wade Halvorson, who teaches digital marketing to MBA courses and executives. Prof. Halvorson agreed to give the keynote address and helped us set the stage for "why inbound is the future" by playing a fantastic video about the changes that is happening in the digital landscape -- from one-way to two-ways to network-communications happening at breakneck speed! His fast moving presentation interlaced with video clips and Q&As made the hour fly by quickly ... with the audience clamoring for "just one more question" as he was walking off the stage! No IMW would be complete without a glimpse at the data. 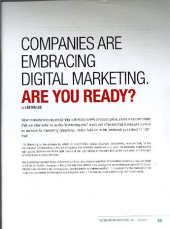 With that, I mean the State of Inbound Marketing 2013. We talked about adoption rates by segments, and which part of the world inbound is gaining the most traction. We also showed that in 2013 when the global economy remained uncertain, budgets on inbound marketing grew. Unfortunately, as for Apac, the adoption rate appears to be low but growing. I think most of the marketers in the room were convinced on the concept of inbound... but perhaps a little skeptical on the execution. Our next topic was about the world of marketing automation and why that is a hot field today in marketing. Most agreed that trying to run any major digital marketing project requires a lot of IT support. Even when making changes to website pages, they would have to wait days or weeks for agencies to make the changes. Speed and ease of execution is not on the marketers side. Alongside with Hubspot, we showed different solutions in the market for different company sizes that can help. We wanted the audience to understand that this is a space to keep an eye on. Ultimately, the main objective for doing any marketing is to grow your business and ideally, your bottom line as well. We introduced the concept of Customer Lifetime Value and shared some ideas on why inbound can be a powerful concept in acquisition, retention and exit of customers. Especially in Singapore as a first world economy, growth is slowing in most industries and SMEs have to play in a world of "sum-zero" competition. To survive in Singapore, productivity is absolutely key -- and that include marketing productivity in lead generation, customer conversion and retention. While we promised a "non-commercialised session", we received several requests for Hubspot demos. We explained that we will take this offline because we wanted to respect the audience's time by sticking to an educational agenda. 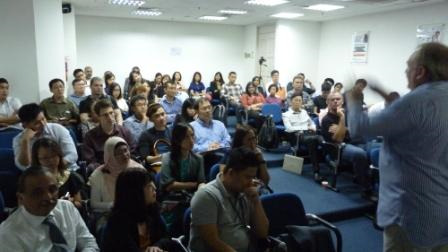 Last but not least, we launched our HUGS program - Hubspot Users Group Singapore - with three objectives: To build a community of interested marketers in Inbound marketing, marketing automation and HubSpot to share ideas and learn. Most importantly, we had lots of fun putting this together and the opportunity to meet lots of new marketers who are passionate in digital marketing is a great bonus! Many thanks goes to the HubSpot global team for the idea and support in getting this off the ground worldwide with over 40 locations. Thanks also to the Marketing Institute of Singapore for the excellent venue and lunch! Looking forward to IMW 2015 ... and lots of HUGS.